Sad news, Artie. He created a great body of work with Barbara Lynn and brought out the best in her. 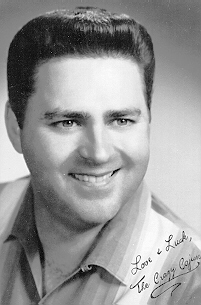 Also did some fantastic “swamp pop” that was considered local music in the area of Louisiana I was living in during my high school days – his music was all over the radio and I loved it! He will be missed. R.I.P. Huey. Your post of Huey’s passing took the wind right out of me. I spoke to Huey last year at his home in Winnie,TX. I did some indie promotion work for Huey when he did Freddie Fender’s early hits: “Before The Next Teardrop….. and Rainy days & Rainy Nights. Also The Hombres “Let It All Hang Out”. I saw his studio in Houston. He knew hits and he knew everybody. Was always straight up with me. I’ll miss our conversations. He was ONE OF A KIND! « AN OPEN LETTER TO OPRAH WINFREY!